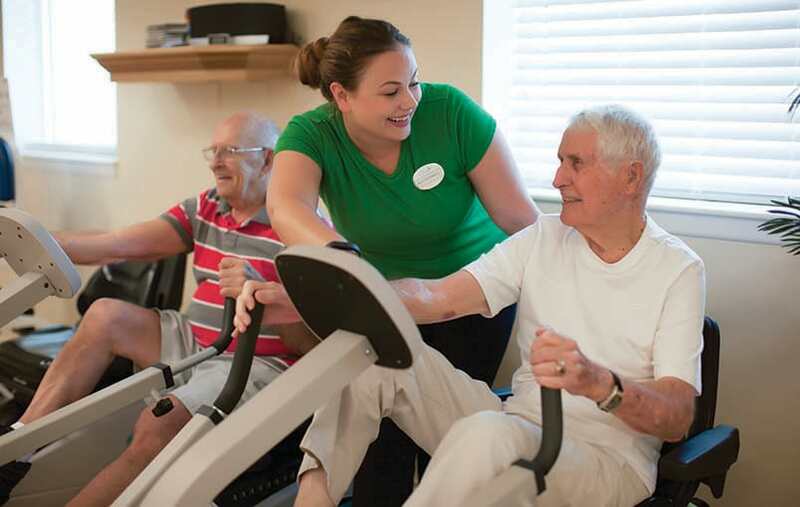 You can start your morning exercising in the heated pool, attending a balance class, or taking our Magnolia Glen transportation to a nearby shopping destination. Your opportunities are only limited by how you choose to spend your time. As you participate in our award-winning programs, you know your choices are designed to help you maintain an active lifestyle doing things you love, doing activities that challenge you, learning new things, staying physically active, enjoying the company of friends and family, pushing beyond your boundaries, going out on the town, discovering new passions, and more. Would you like to visit us for an event? View our map and directions to Magnolia Glen Raleigh, NC. We have a new look and want you to stop by and see all that has changed. We recently underwent a renovation to our community's cottages and apartment homes including granite countertops, backsplash tile, stainless steel appliances, brushed nickel finishes, new flooring and washer / dryer options available in apartments. But what has remained the same? We still have an outstanding reputation, our caring associates and the level of service you've come to trust for the past 16 years. Join us for our Open House to see our beautiful renovations and enjoy the warmth and hospitality of our exceptional staff. Refreshments and delicious hors d'oeuvres will be served while you experience Magnolia Glen. Please RSVP to 919.651.3803. We hope you can join us!